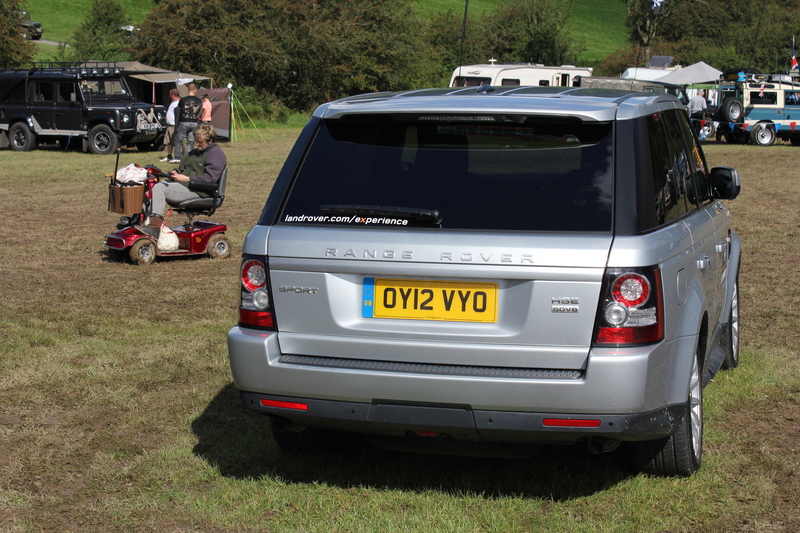 The Eastnor Land Rover Show 2012, was the first time that I had been to such an event. Driving into the Dear Park from the Castle the size of the event became apparent. 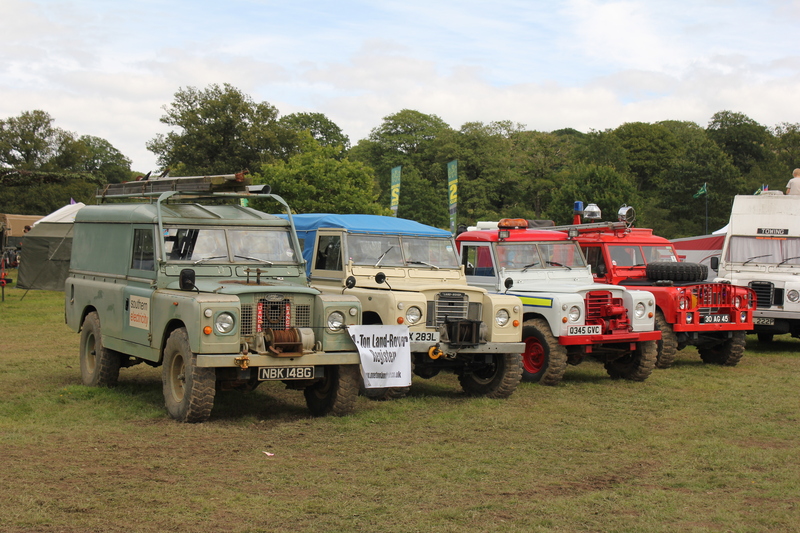 An awesome array of Defenders, Disco’s, Freelanders, Evokes, Range Rovers. Monster Trucks and the odd Ford Fiesta getting stuck in the mud. 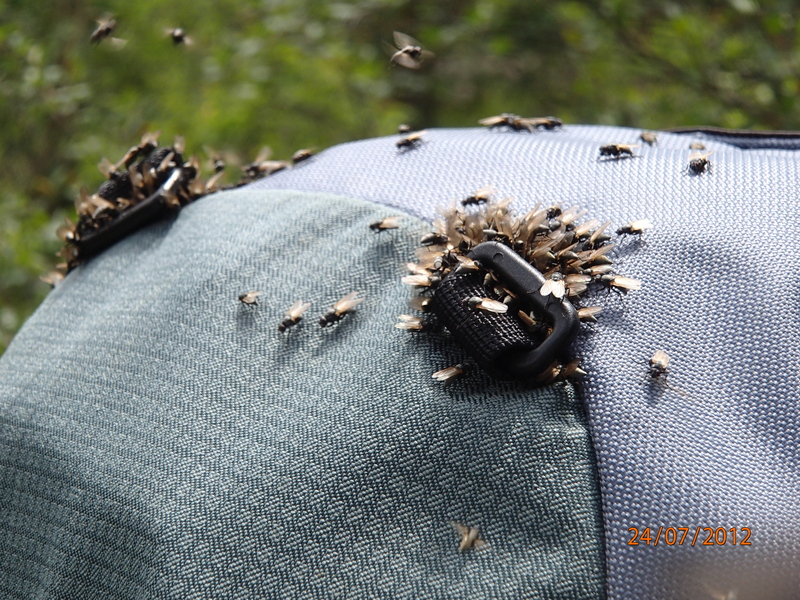 We arrived on Saturday the 25 Aug 12 to be met by an horrendous rain storm, which quickly turned the into a quagmire making movement underfoot interesting to say the least. One of the most comical things we saw that questioned the sanity of buying £57,000 worth of 4 x 4 with state of the art traction control, when a mobility scooter managed to cope with all that Mother Nature could throw in our direction. 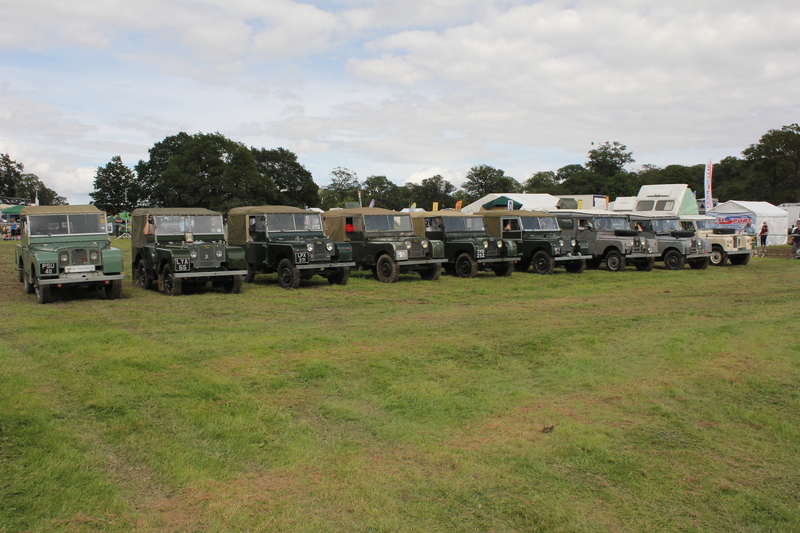 The show was not all about the modern but about the historical aspects of Land Rover, with virtually every year and model represented. 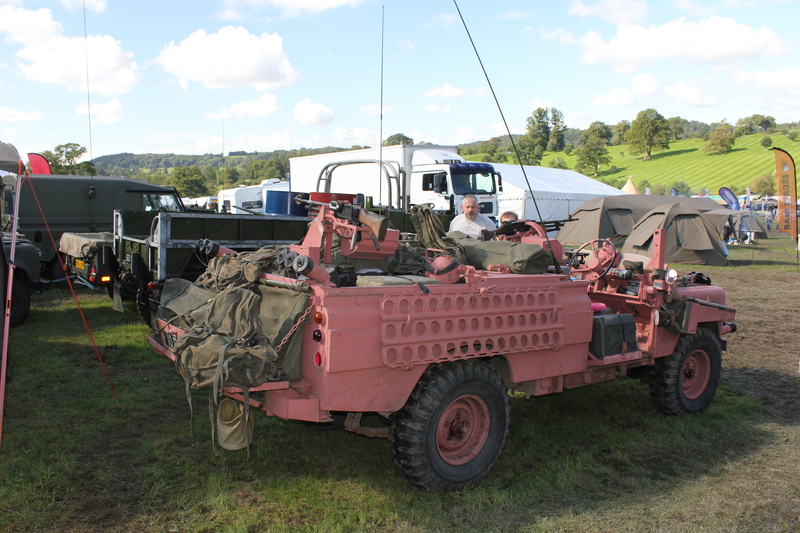 Models that evolved into support vehicles for the emergency services and the security industry. The reason they were so tough was the combination of guns and equipment ant the guys driving them- the SAS. There were later similar equipped Series I and a lot later 110’s. In the Gulf War they proved invaluable as they even outperformed the specially equipped Hummers. The nickname of “Pinkies” stuck on them even if the new ones are no longer painted in that colour. Not to be out done there was also a presence from the big boys, this one was for sale, I did ask if it came with a complimentary foot pump. In April 1981, Bob Chandler made fame and notoriety with his BIGFOOT in what is often believed to be the first monster truck to crush cars. 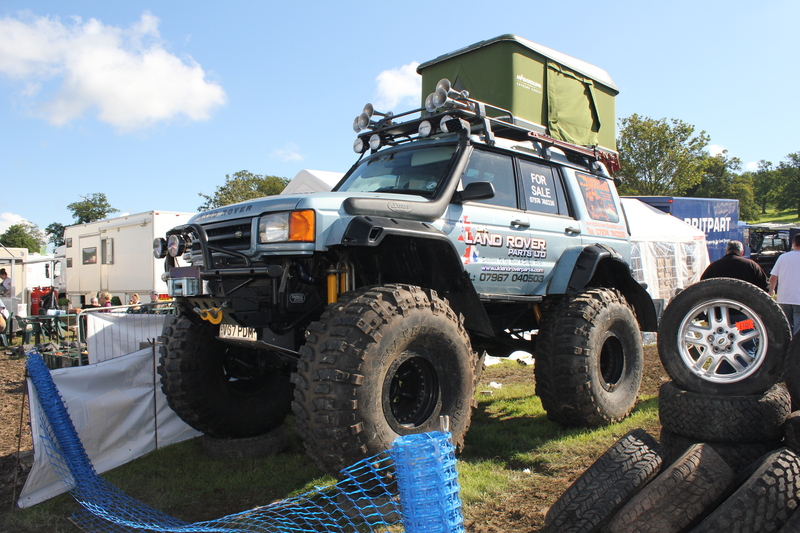 In 1982, he debuted a new version of Bigfoot with 66 inch (1.7 m) diameter tyres. Times have not changed, we are still big kids. Due to our diary commitments we never got to see the Monster Trucks at the show but it would have been great to observe in action a renegade beast crushing the dinky toys that festooned the Deer Park. The line up from left to right. 1948, 49, 50, 51, 52, 53, 54, 55 and squeezed on the end a very rare 1972 Dormobile conversion. The show was well worth a visit and some fantastic bargains to be had and a valuable source of networks. 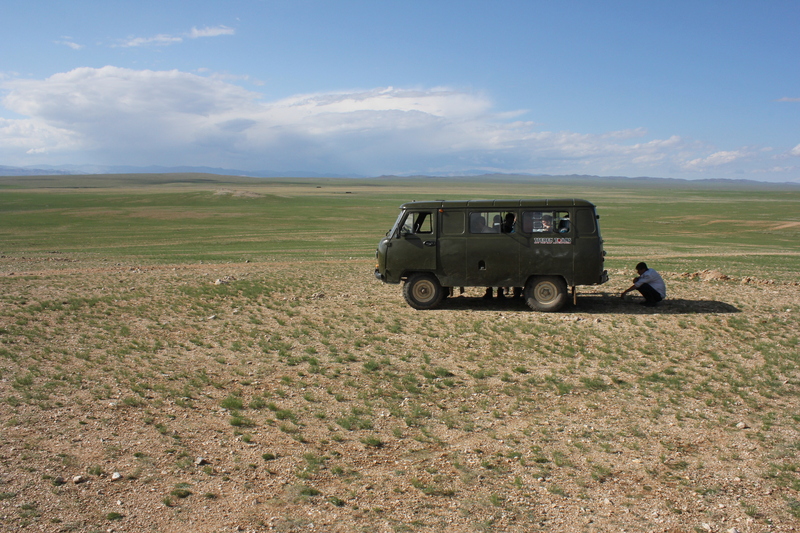 During the period 14 Jul – 02 Aug 12, I was working on behalf of King Edward VI Grammar School and Far Frontiers to lead an Expedition to three mountainous regions of Mongolia. 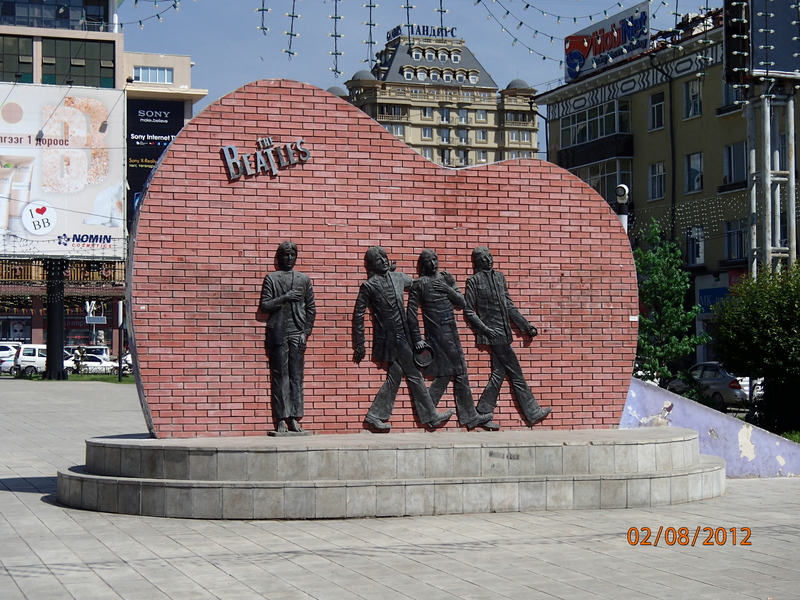 We discovered that Mongolia likes the Beatles on October 9, 2008, a monument to the famous Liverpool stars was inaugurated on the square fronting the State Department Store. However, we never heard any of their dulcet tones during our stay. 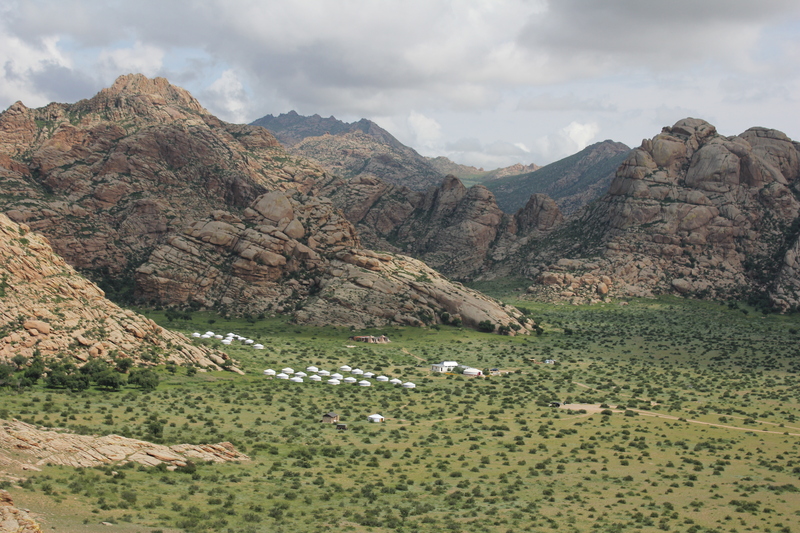 Our first range of mountains was the Bulgans, not particularly high but are very fertile with a fantastic range of Flora. 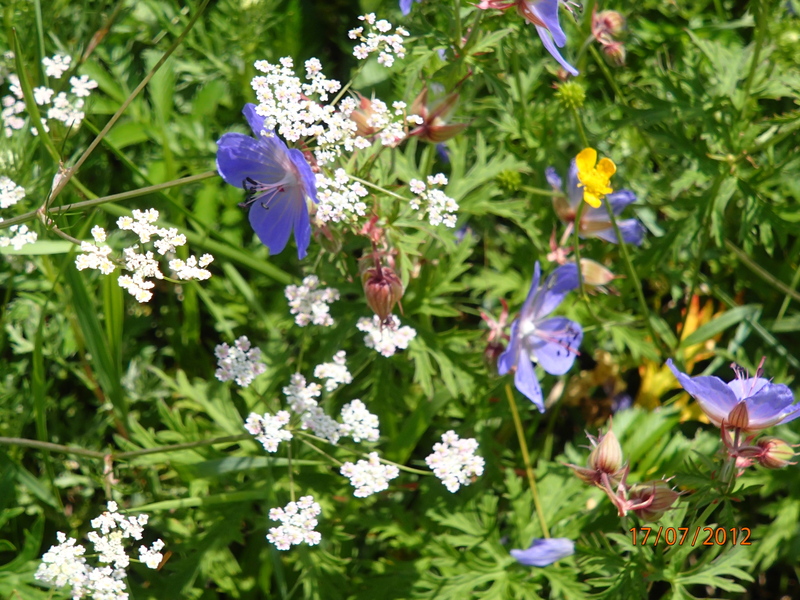 This diverse selection of flowers attracts it’s own problems – flies. Not wanting to stay with the flowers they opted to get friendly with the human invaders that dared to interrupt their environment. 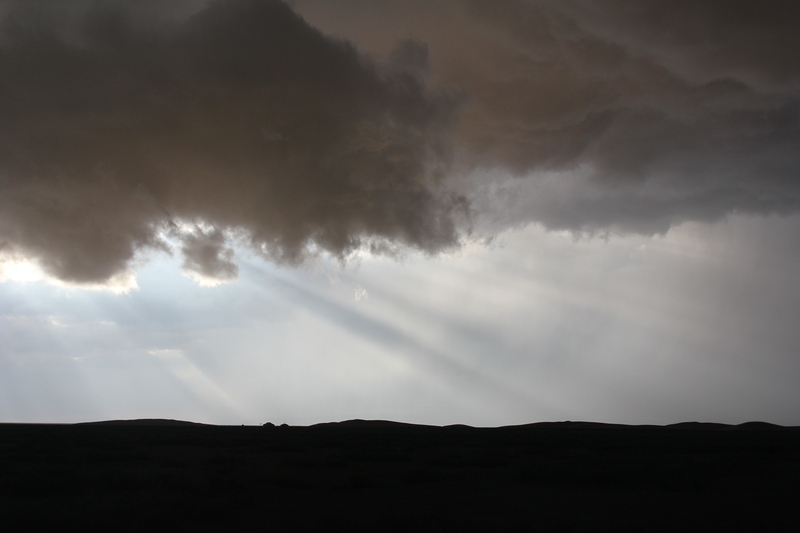 The Mongols of Genghis Khan’s day practiced the religion of Shamanism. Horses were held in such high esteem that they were also viewed with great spiritual significance. The milk of mares was used in Shamanistic rituals to ensure victory before battle. 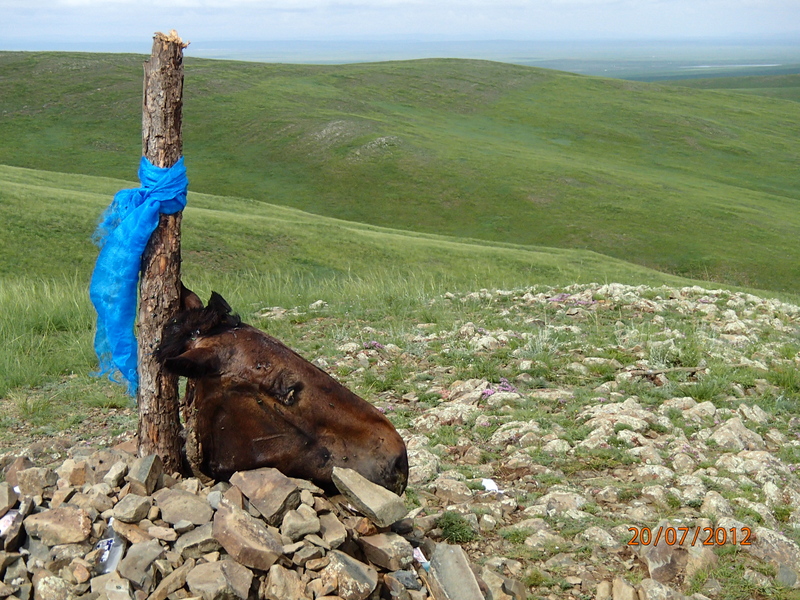 To sacrifice a horse meant that the Mongol would be sent to heaven. 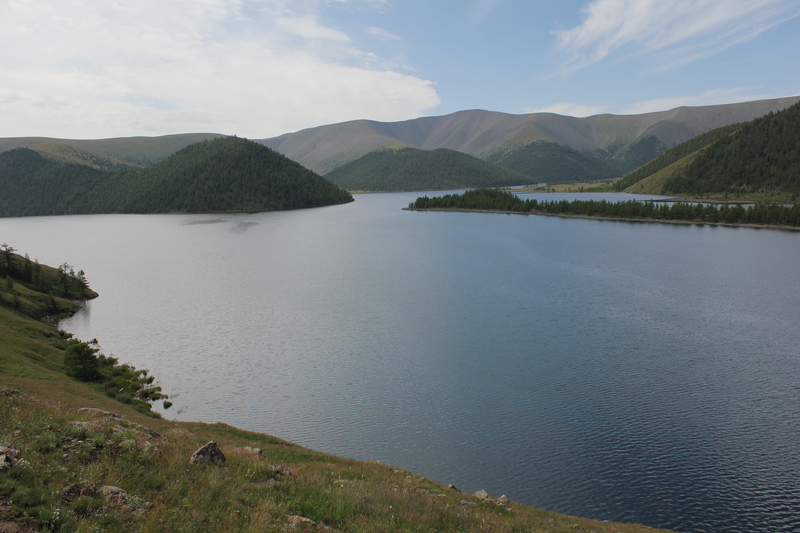 The Khangai Mountains is a fascinating geological phenomena, there are massive flows of Pumice, yet no visible signs of volcanic activity, there are many peaceful lakes that attract a diverse array of wildlife. 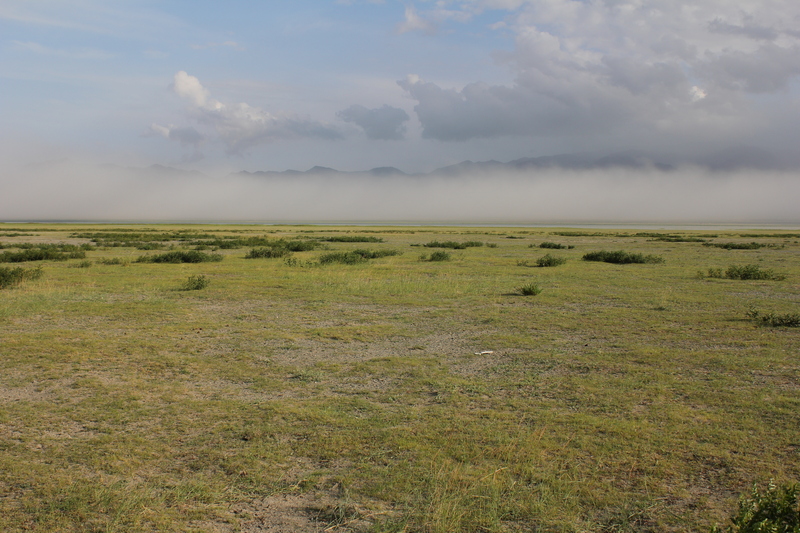 Trekking in Mongolia, is a fantastic once you have come to term with the flies and the stinging black flies but to travel long distances there are only three ways to get from A to B. The horse, is the most respected form of locomotion by the old guard, but screaming into the 21st Century is the 4 x 4, especially the Toyota Land Cruiser closely followed by the antiquated Russian UAZ Minivan. 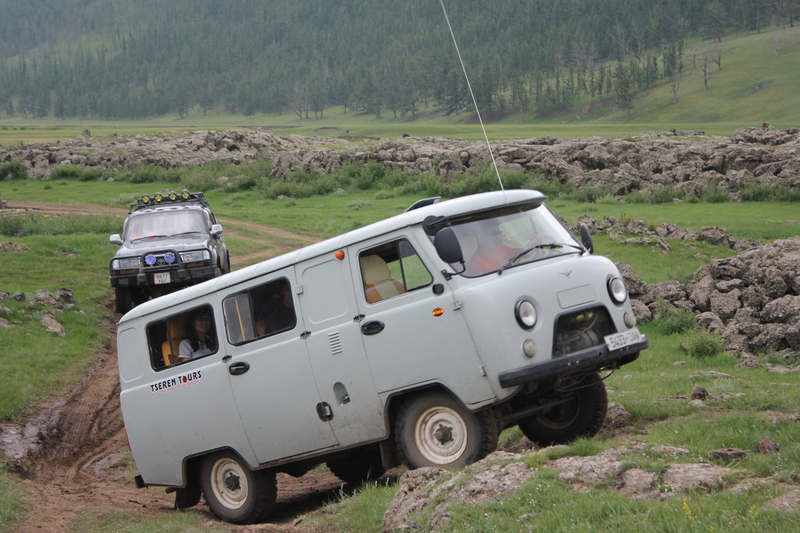 There are as many UAZ vehicles in Mongolia as there are VW Camper vans owned by the UK Adventure Sports Fraternity. The Russian vans travel pretty much everywhere but sometimes they get caught in mud rivers but its all part of the fun!!! A BRIDGE WAY TO FAR!!! 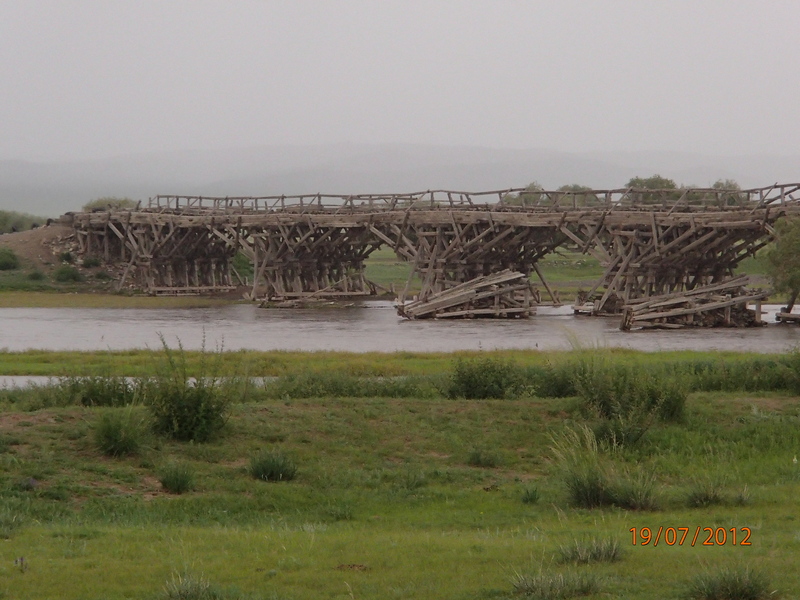 Sometimes the rivers are just to deep or fast flowing, so those clever engineers built bridges for the less brave did not have to risk getting wet. Then again there is a delightful little devil, Chinggis Vodka that helps to see things quite differently from those who are sober. Maybe this design will catch on in the UK. 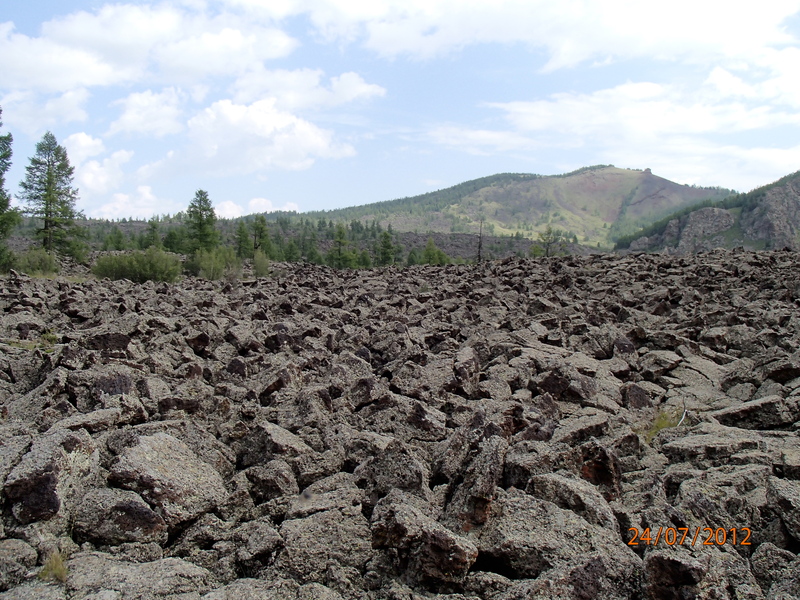 We arrived at the edge of the Altai Massif, the forthcoming weather was confusing – a real micro climate. To the north black bubbled and boiled into a horrendous rain storm. 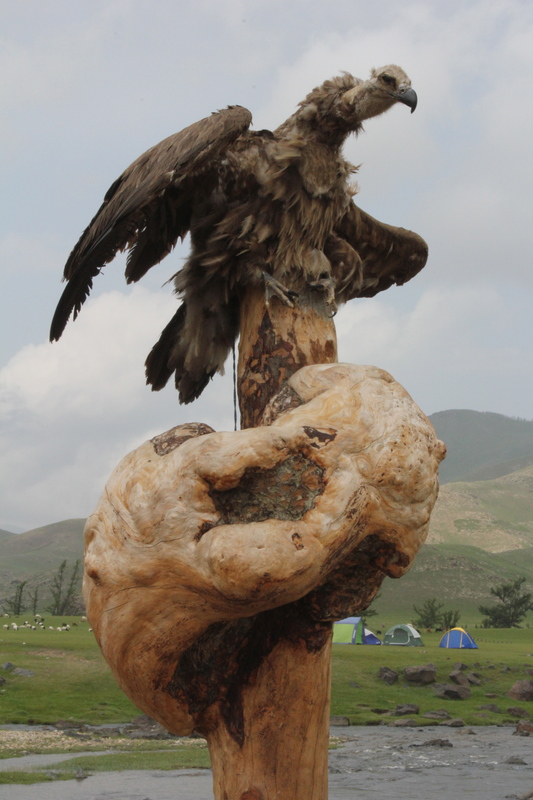 There is an old saying in the UK, “Stone the Crows”, somehow, I think the Mongolians stoned the Raptor, this flee ridden old bird that had long since had a liaison with a taxidermist kept an eye on the affairs of all those who travelled into the area. 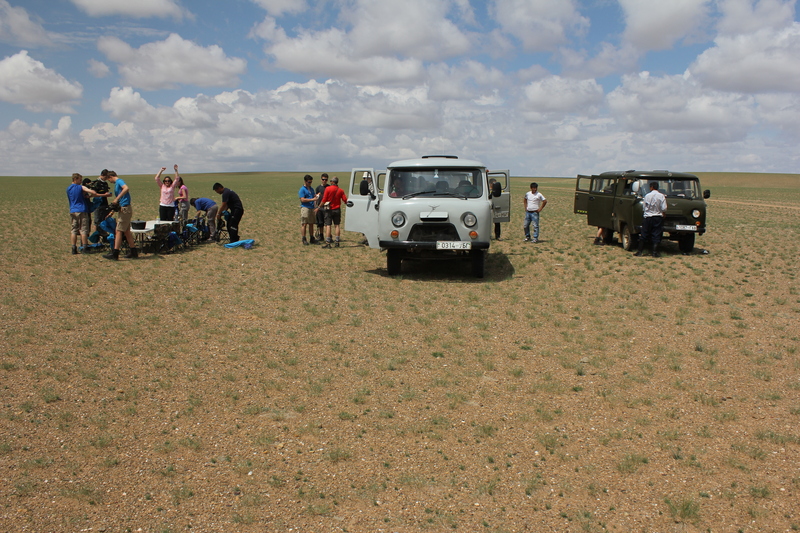 There are no Macdonalds or Burger King, when you travel across the Gobi, so one has to settle for a picnic. 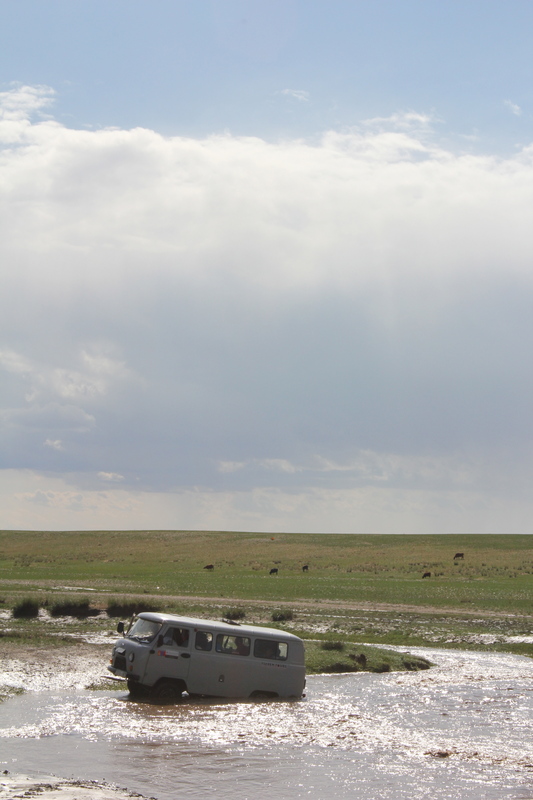 Not even the camels were daft enough to hang around this area of the Gobi. When life gets too monotonous then you can always hide from the rest of the world!!! 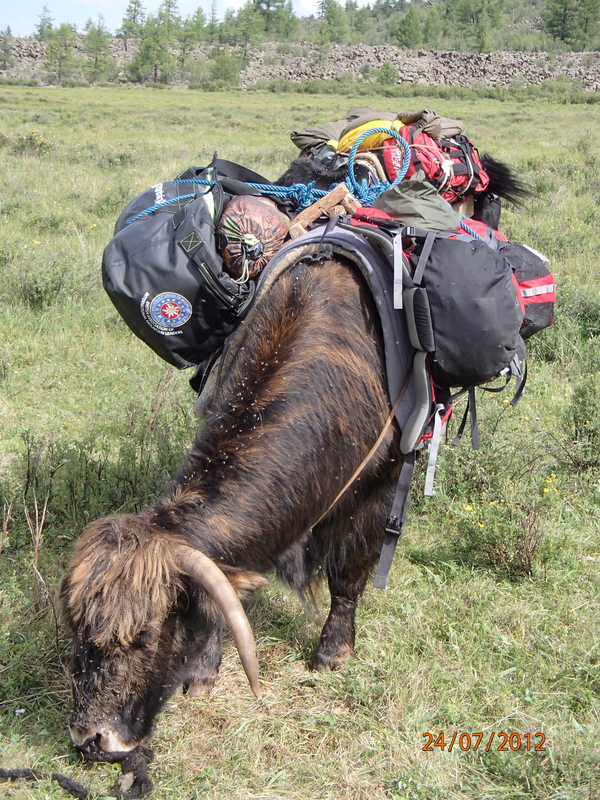 You can rely on the beast that carried Chinggis Khan to the four corners of the world and now carries my expedition holdall. Mongol Els should be on everyones tick list, a quiet and peaceful environment. 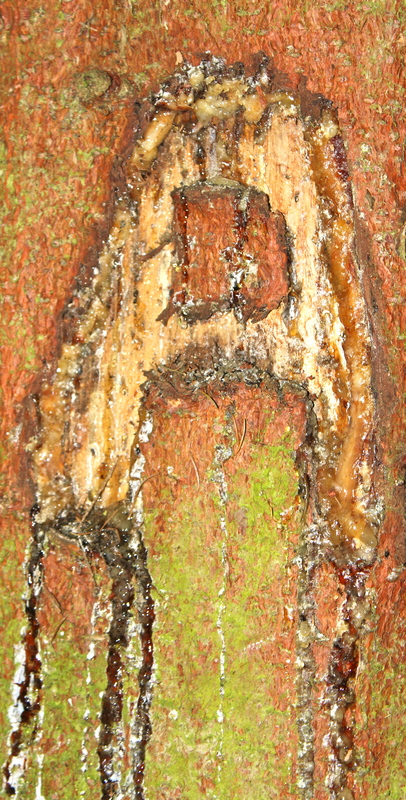 The odd snake, spider and fantastic views are what are on offer to the visiting traveller. The country is vast, a diverse landscape, well worth a visit. Should you wish to know more – get in touch. 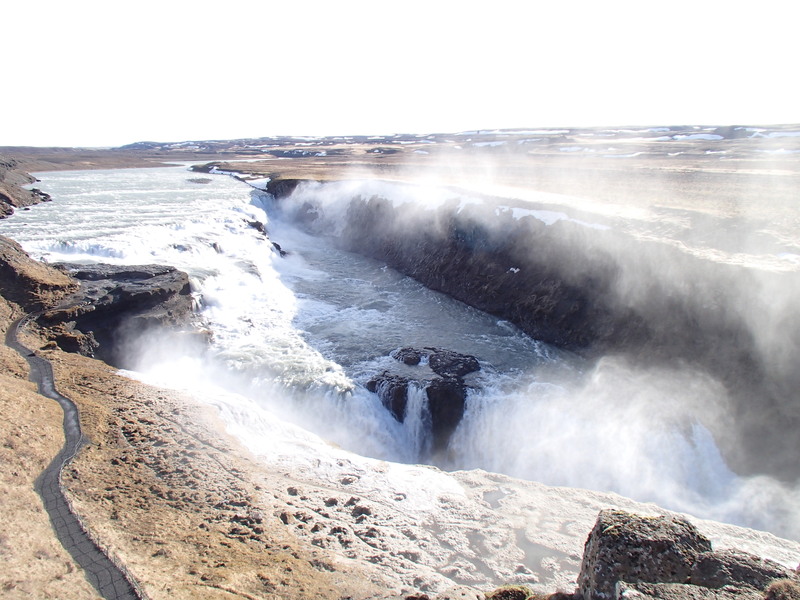 During the period 04 to 14 April 2012, I was asked to lead an expedition to Iceland. Those who have not ventured to this country should do so, the country is spectacular. Glaciers, Ice fields, Volcanoes, Massive Waterfalls and Geysirs. 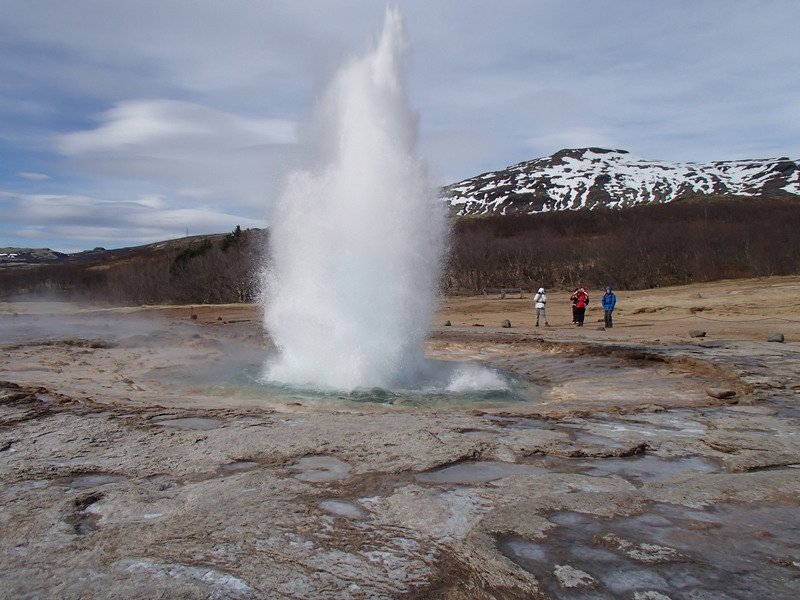 Our trip was centred around the area of Laugarvatn, which is not different from Westeross in North West Scotland. The only difference is delicate scent of Hydrogen Sulphide that wafts out of every thermal vent in the country. Mountainrite will be visiting this awesome country again. Contact Kev for further details. Taken from the Col du Balme, above the village of Montroc, France. 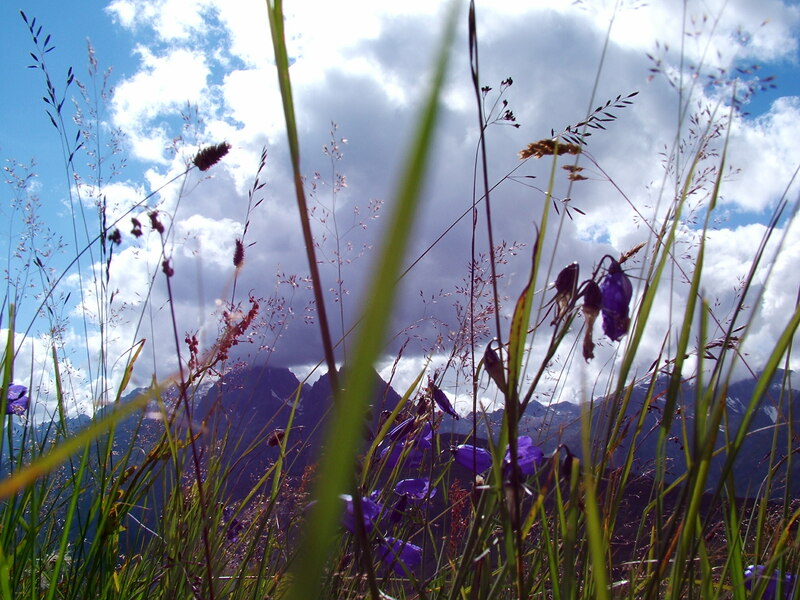 The delicate blue flowers and luxuriant green of the blades of grass compliment the cloudscape. Spectacular colours unfortunately the tree had to shed a tear from the vandalism. Photo taken at Linacre Woods near Chesterfield, Derbysire. 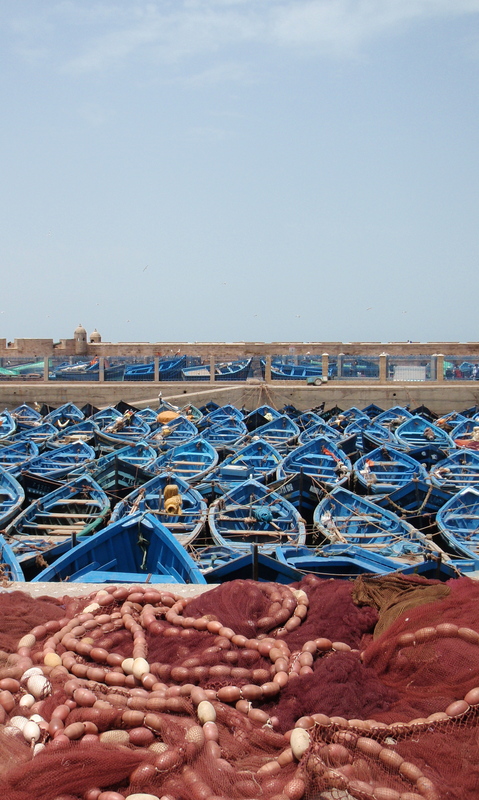 This photo was taken in the picturesque port of Essaouira, Morocco, a pleasing relief to the harsh environment of the High Atlas. A very moody shot taken from the slopes of Stac Pollaigh situated in the centre of Inverpolly Site of Scientific Interest. 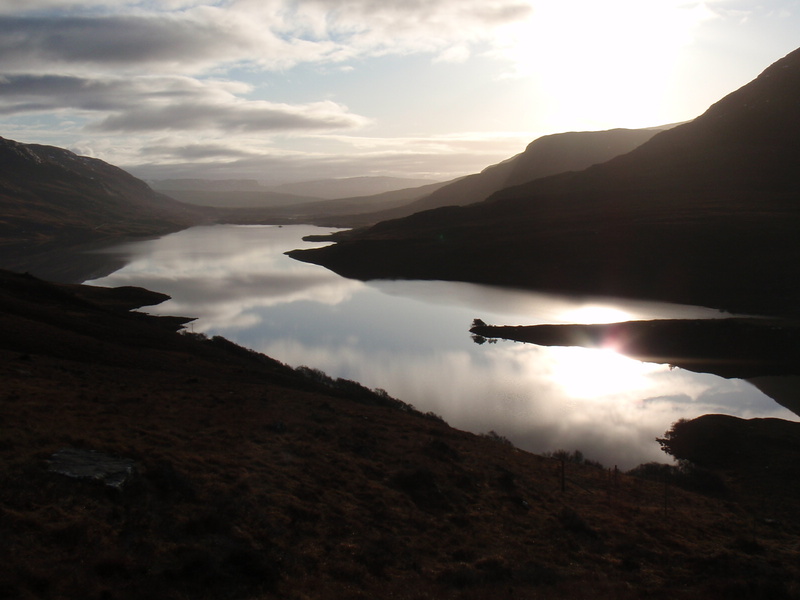 A spectacular landscape north of Ullapool. 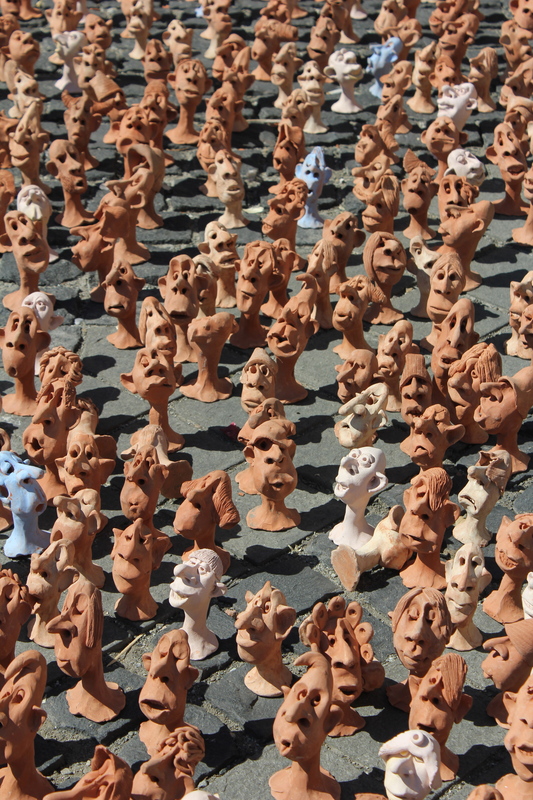 Framing is everything, these wonderful little chappies where captured in the main square in the city of Sibiu, Romania. This is the very picturesque Shanti Stupa that overlooks the lively city of Leh the capital of Ladakh in Northern India. The Stupa was constructed by a Japanese Buddhist organization, known as ‘The Japanese for World Peace’. The aim behind the construction of the stupa was to commemorate 2500 years of Buddhism and to promote World Peace. His Holiness, the Dalai Lama inaugurated the Shanti Stupa in the year 1985. A magnificent white-domed structure, which offers spectacular views of the sunrise and sunset. The stupa looks best at night, when it is beautifully illuminated with glittering lights. 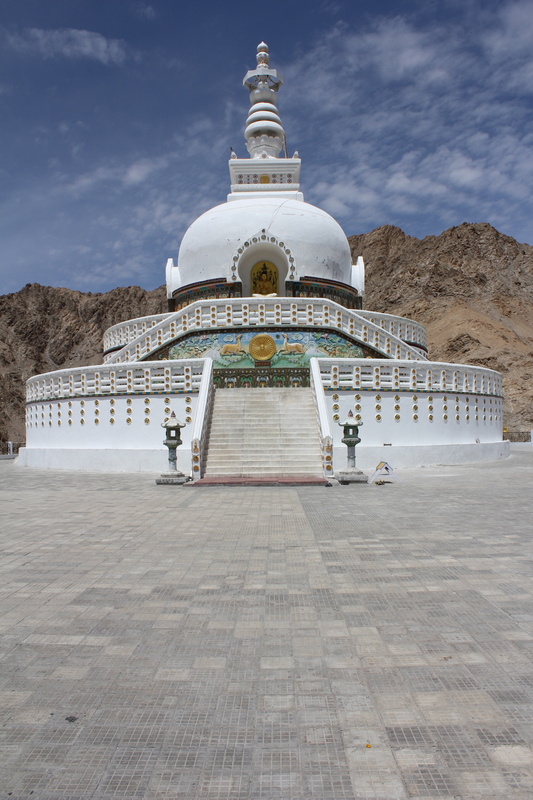 A large number of tourists come to Ladakh every year to visit this amazing stupa. 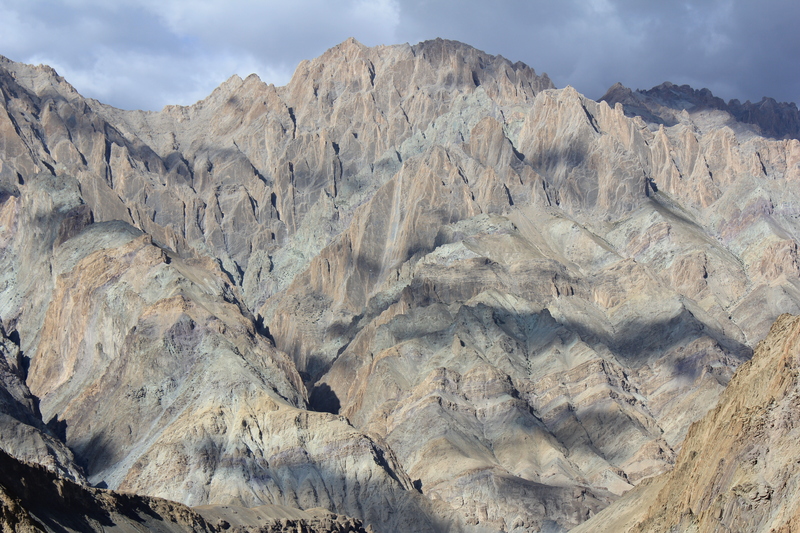 This fantastic mountain overlooks the small Ladakhi village of Phanjila at 3410m, this spectacular array of colours is totally natural. The purple hues are reminiscent of the Blue John veins of Castleton, Derbyshire. When the powder is deep – we break out the snowshoes!!! Scotland is known for its savage mountains when winter conditions are against you – with Mountainrite we endeavour to take you to those special places that make it all worthwhile. 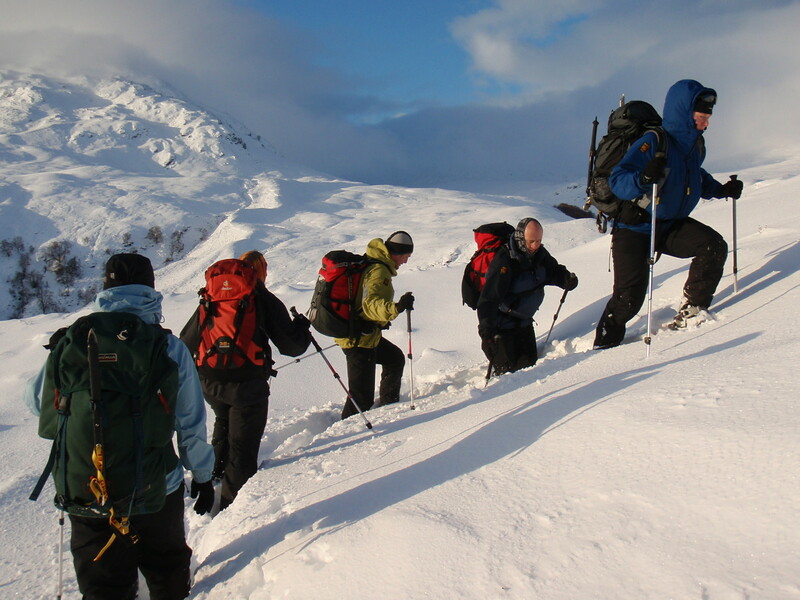 Bring your camera and enjoy the Scottish Winter Mountains on snowshoes with Mountainrite. Mountainrite has teamed up with Florin George Bana of Brasov to develop some spectacular mountain photography treks that will get you to the places you need to be – be one step ahead of the game and join Florin and I on a trip that you will be talking about for years to come. Mountain Photography the Mountainrite Way!!! Mountain Photography with Mountainrite can make your portfolio so much better, we take you to locations that the average tourist just does not get the chance to see. 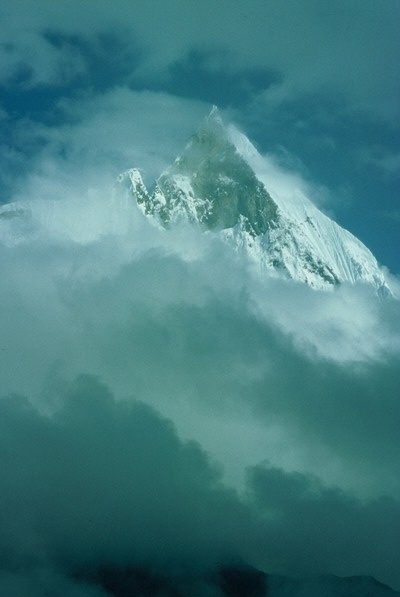 The mountain is Machapuchare and is in the Annapurna Range. Welcome to Mountainrite, we are working with highly respect companies throughout the world to bring you a fantastic range of new adventures. 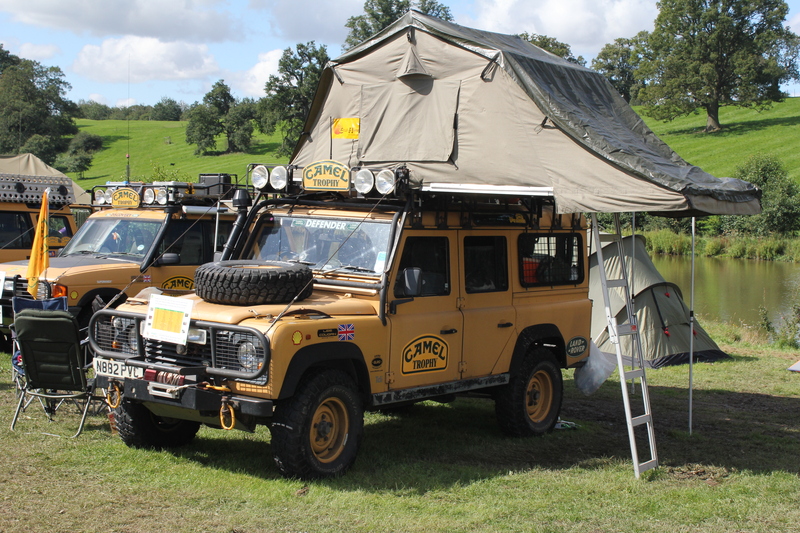 Our mission is to provide a platform for your adventurous spirit. 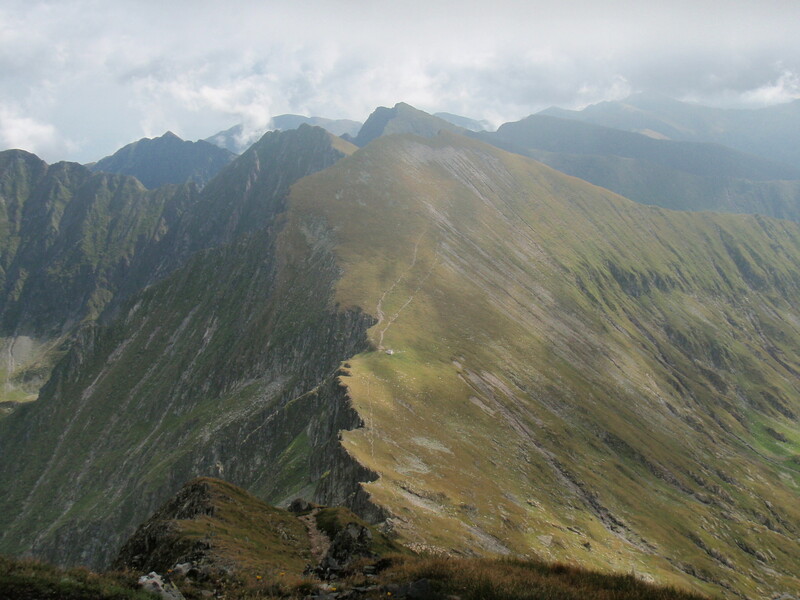 Currently we are looking at the Karakorum, Kyrgyzstan, Romania and Slovenia. Join us on one of our adventures that are open to young or old, fit or unfit the mountains have something for everyone.